Congratulations to John Y Murray, of Lochgilphead on winning the £250 prize in the November draw. The second prize of £100 was won by Elizabeth Maclean, of Stornoway and the third prize of £50 was won by Donald Macleod of Stornoway. The next (December) 400 Club draw should take place on 18 December 2015, in good time for Christmas. Below is a list of the prize-winners. Congratulations to you all! Cairistiona is shy. When the wind blows her to a little island in the Highlands, she has to figure out a way to get back to the desert. Will she go into hiding, or will she have the courage to ask for help? 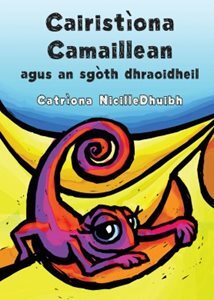 About the book: When Caitlin MacRae was excited about her impending holiday to Glasgow, she never thought she would be desperate to get home. However, what happened in Glasgow troubled Caitlin greatly. Dol Fodha na Grèine / The Going Down of the Sun was shortlisted for a Saltire Literary Award 2015 in the History Book of the Year category - many congratulations on this achievement. 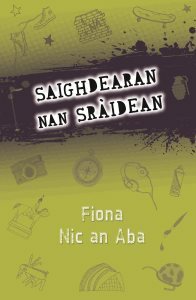 This book is a collection of photographs and pieces of writing from the Ness to Ballantraushal area on the Isle of Lewis, published by Acair in conjunction with Comunn Eachdraidh Nis to mark one hundred years since the beginning of the First World War. This is a bilingual book.